Need I say more? I took this photo this afternoon. Annual Magnolia wine party is tomorrow. We missed having a party last year, as we were in California when the tree was blooming. I want it to warm up enough that I can sit outside and knit under the beautiful blossoms. That’s gorgeous! Here in the UK we are having a wonderful warm sunny weekend too – almost warm enough to sit outside. 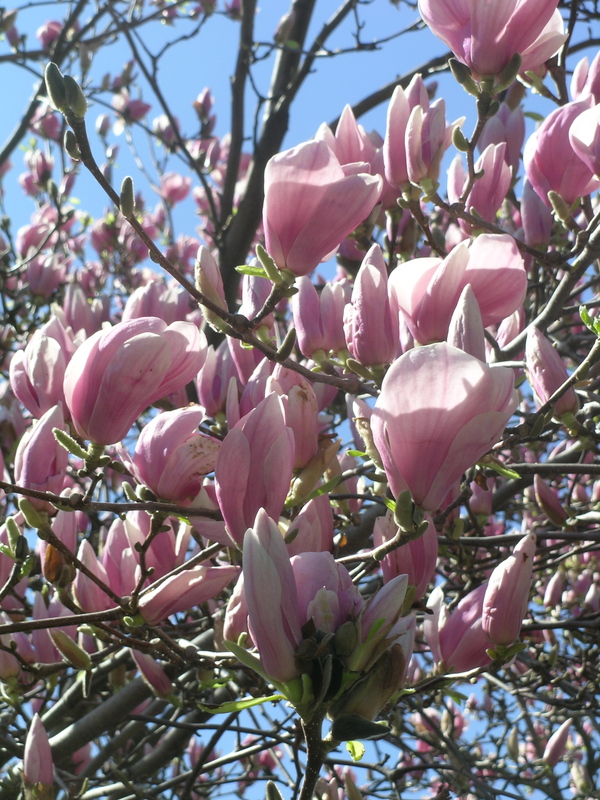 I don’t think there are many magnolias flowering here yet, though my camellia is covered in flowers. But 80 degrees like you mentioned before would be very hot for us, even at the height of summer.